Their Mission: Porch is dedicated to helping users find quality services for their homes from trusted professionals. 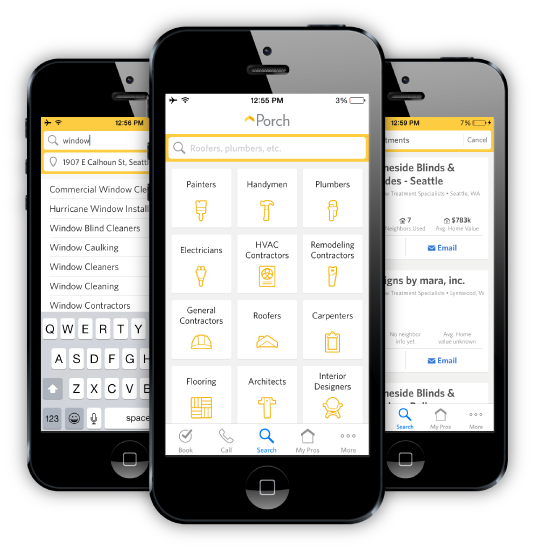 Whether it’s finding a plumber to unclog a drain or a contractor to remodel a kitchen, the Porch app helps customers find and book professionals quickly and easily from their mobile device. Our design challenge was to work with a large team of cross-functional stakeholders on a tight timeline. 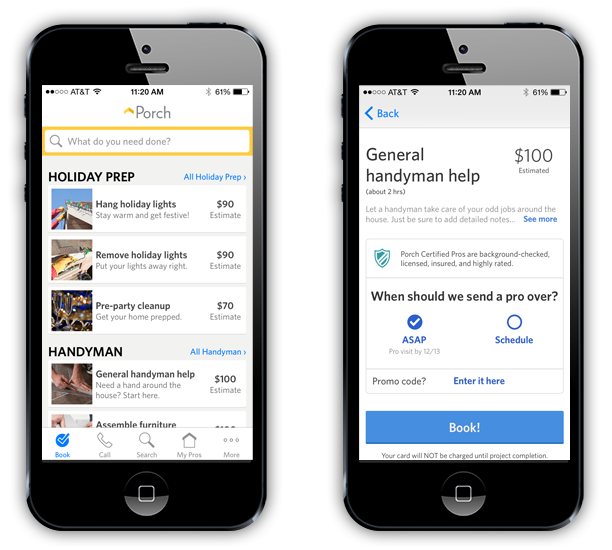 We led the early design vision, building consensus and helping Porch release the app on time. We started by analyzing their existing website and the current app prototypes. Recommendations at this stage included addressing navigation problems, information architecture issues and departures from iOS standards. Customers can quickly browse jobs by theme or category and book the job in just a few taps. 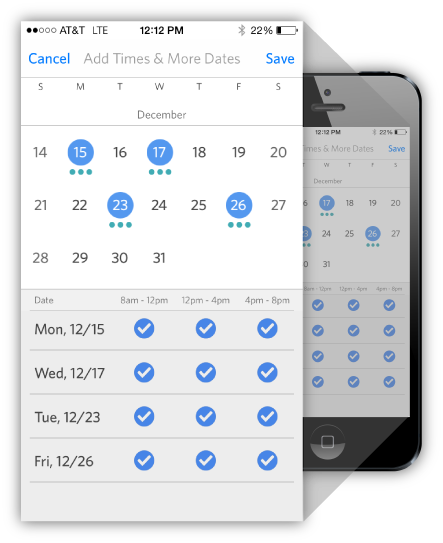 When booking a job, customers can define availability by day and by time-window, allowing them to schedule jobs at their convenience or simply choose "ASAP" from the project detail page. When searching for pros we recommended category shortcuts below the search field for common search terms. Got an itch for some great UX?